With the kick-off of spring semester finally under way, Wisconsin Union Directorate music was quick to start off with a bang. 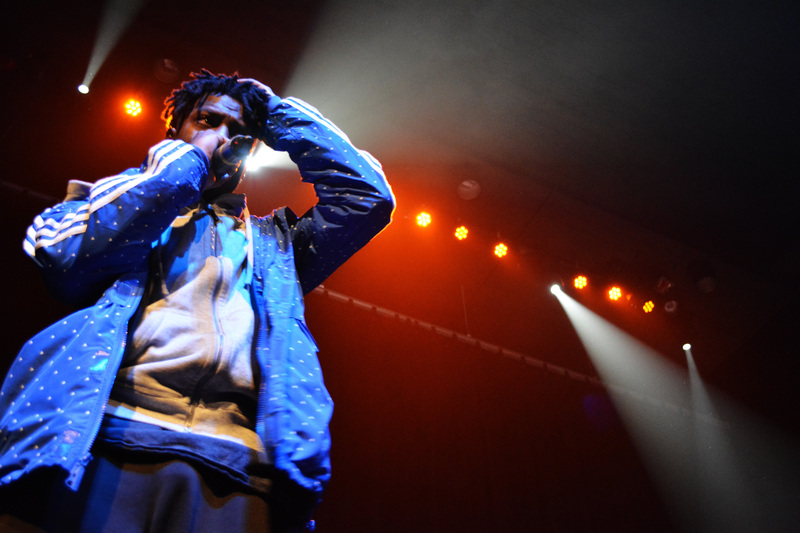 Opener Jay IDK and headliner Isaiah Rashad journeyed to The Sett Saturday to present one of the largest shows WUD has had in a while. Rashad was excited for a Madison show; he made sure to stop in before heading to his next tour destination. The current political climate has left many feeling drained. It has negatively affected people’s emotions and stress levels. The show provided a break from the chaos, and one that winter break’s short intermission seemed unable to do. Jay IDK was first to the stage once the sold-out venue became filled with fans. Frontman to THE HXLY TRiBE — a collaborative group that works on music, marketing and videos for its members — he made his presence known. He opened his set with a bang to get the crowd up and moving. His song “She Blocked Me,” showed the different facets of his rap game — storyteller, singer and lyrical genius. Within those categories, he exemplified his charismatic voice and poetic flow. After dropping his newest album, The Empty Bank, he has been capitalizing on his live performances. Songs from the album flow together smoothly during his shows, and he uses other tools to captivate the audience. During this show, he sat down and told a story through rapping — it was an engaging aspect of his set. If that last song wasn’t there to finish off the opener’s set, then the show could have made for a mellow Saturday night in Madison. But Saturdays tend to be the opposite, and Isaiah Rashad made sure of that. After a short pause for silence between sets, Rashad came on stage and embraced the leftover energy radiating from the crowd. Rashad was named to 2014’s XXL Annual Freshman List, a small group of hip-hop artists the magazine picks each year for their impact on the genre. This shows he has changed the rap game, and he proved his right to the nomination during his set. In addition to making the Freshman List, Rashad is also a part of Top Dawg Entertainment, a label other popular rappers share. This allows him to connect with some of the biggest rappers in the game. 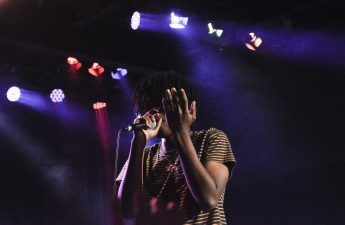 Within his performance it was easy to see that, through those connections, he had adopted parts of styles from rappers like Schoolboy Q and Ab-Soul. His obvious talents were presented throughout the show. Rashad played songs off his new album, The Sun’s Tirade. “Free Lunch” was a big hit with the crowd, along with “Wat’s Wrong,” which features none other than Kendrick Lamar. Circling back to the past, he played works from his first EP, Cilvia Demo, which was more politically charged. Some of its most popular hits got the audience pumped. The songs titled “R.I.P. Kevin Miller” and “Cilvia Demo” got a lot of movement. Once he had everyone on their toes, Rashad went back to hitting hard with tracks from his new album. Some fans were jumping even more than those after the third quarter at a Badger game. Just before closing, Rashad sang “Shot You Down.” It was a choice that provided a happy, mellow ending to the show, and was made even better after he stepped up to the stage’s edge and shook hands with the crowd. It was his way of showing us love, and we gave it right back.